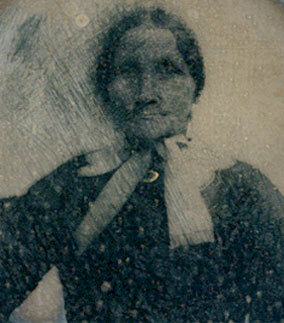 Maria Carter was reputed to be the daughter of Airy Carter, a slave maid thought to be from Mount Vernon. It is also widely believed that she was fathered by George Washington Parke Custis. Maria Carter lived and worked at Arlington as a slave until 1826 when she married Charles Syphax. He was a slave who oversaw the dining room in the house. Soon after their wedding, Custis granted Maria her freedom. He gave her a seventeen-acre plot in the southwest corner of the Arlington estate. In 1864 when the government seized Arlington, the Syphax ownership of the land was thrown into doubt. William Syphax petitioned the government on behalf of his mother’s estate stating that “we have a claim to this estate.” Although the family had no official documentation to support their claim, Maria Syphax’s thirty year occupancy of her land was accepted by Congress as grounds for a legal title to their estate. She and her husband lived on their land at Arlington for the rest of their lives.